Everything changes. Every moment in time is unique unto itself. Every moment in time carries a shadow of the past and in many ways the future is nothing more than a projection of the past. What happened before is going to happen again, although in exactly what way is hard to predict. The nature of change is that you must have the capacity for it. 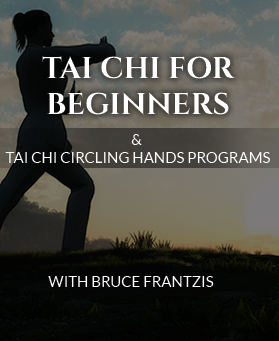 Whether you’re trying to go from one qigong movement to the next, from walking the bagua circle to changing directions, going from one meditative state to another or going from one event in life to another, you develop the ability to change. Some people are afraid of change. Why? They are afraid because they’re fixated on something. They’re stuck in what happened in their childhood; they’re stuck in good or bad experiences they had; they’re stuck because they read something in a book and somehow created a mental picture in their mind that this or that should be a particular way; or perhaps they’re stuck because they have been influenced and captured by psychic forces that exist. People can get stuck and become fixated for 10,000 reasons. Second, is that most of us take all appearances as reality; we see an object and we think it’s solid, although physicists tell us that this is not the case—that matter is actually nothing more than a bunch of fluxing quantum particles. Yet we take everything we see as solid. We take the idea that I’m here as solid. We take the idea that you’re here as solid, what we did as solid—as if it all exists. Well, wait a second—what is here is just coming together because of a specific mix of times, places and conditions. Oh, so you think you’ve seen the most beautiful man/woman in the world. Excuse me, have a look at him/her 75 years later and see if you still think so. He/she didn’t go anywhere but changed occurred, his/her body and face changed. Take a person who you consider as the sweetest person in the world, and put him/her under the most horrific circumstances and he/she might turn into the nastiest individual you’re ever going to meet. Change happens. Equally, take a person who’s the nastiest person in the world, let him/her engage in enough meditation, for example, and he/she can turn into the nicest person in the world. So, what ultimately allows this change to happen, stabilize and become somewhat continuous? Somewhere amongst all this change there is something that doesn’t change, there is permanence—a permanence that carries no shadow. The ability to let go of where you’re fixated and be able to be present to what is always there is what allows change. To understand the flow between what changes and the permanence is the first real big step to dealing with change. A popular statement is that, ‘life is a living I Ching’, but what does that mean? Simply, that everything is constantly changing. A conservative may have a fear of change, a liberal may have a fear that things aren’t going to change the way they want. Everybody’s got a fear of change. To get past that fear you have to somehow move into the realm of emptiness, otherwise you can’t stop resisting change and you will continue to become stuck in various ways time and again. If you think something is, you’re going to have a really hard time flowing through it. You get stuck on what you think or feel about it. 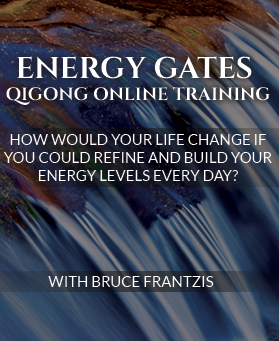 The next step in truly living the I Ching is the capacity to recognize the energies that are at play in a situation. Sometimes the energies at play allow everything to go incredibly well. Sometimes the energies at play don’t care what you do because no matter what you do it’s going to be a mess. Previously, I have talked about the fact that the warrior spirit enables us to accept that a certain amount of luck is involved in everything. In the case of a spiritual warrior, he/she neither assigns too much credit nor excessive blame to him/herself or others for successes and failures. Humility arises when we acknowledge that we do not have all of the answers. As a result, two people can have the same talents and abilities, yet one will become incredibly successful while the other can never achieve anything more than a minimal life. For fun, let’s say you had two brilliant people in the field of computers. Let’s assume the successful person is Bill Gates. Both people had the same intelligence, same talents and so on, but Bill Gates was consistently in the right place, at the right change, at the right time. Many variables had to come together in order for the changes that occurred to happen—events that were bigger than anything in Bill’s life. Of course he’d love to take complete credit for his wild success, as many in his position might. He walked in the right door at the right time and got this or that contract. He could have just as easily, at a critical juncture, had an important company refuse to buy his product, or had a boss who decided to cut everybody from their jobs leaving him unemployed for a year without any forewarning. Then again, some of the most dumb, most unintelligent people in the world have walked into gold mines and oil fields. In Bill’s case it all worked out. You could say it was the old Asian phrase that was made famous in the book Tai Pan, “His joss mighty good,” which means he was lucky. In the midst of all the moving and changing, the question is: Can you go into that empty space in the middle of the I Ching and recognize, without getting too upset regardless of the outcome, that whatever the changes are, they’re just a play of the energies in the universe? You must continue forward, do what you can and not allow yourself to become stuck. How it all works out is the living I Ching where you can go deeply into the energies of the trigrams that comprise it, all of which are real flows that can and do happen in life. In this way, you can begin to understand how energies move and the permanence of emptiness from which everything is derived. At the end of the road you free yourself and that is truly the living I Ching—it’s about the way life really happens. Then the questions become: Can you recognize the subtlety of the energies? Do you have the capacity to recognize the emptiness? Do you have the perseverance, the warrior spirit, necessary to go through what it takes? If you do life is easier, and if you don’t, life can be harder. Two people in the same circumstances can see things very differently. The first can respond to unexpected difficulties with “Oh well, what are you going to do?” and dust their shoulders off to give things a go again. While another person can spend the next 20 years of his life tearing himself up, hating everybody and everything because his expectations weren’t met. He has become fixated and can’t change in the way the universe is changing, whereas the first person is able to change with the universe. This is not to say that downstream things will always go better for the first person, who may have something even worse happen to him. However, what you can say is that he has internal freedom. All anyone can possibly do is the best they can. You may be better at a given skill than anybody in the world at a particular moment in time. However, given the way things change, at a different moment in time you could just as easily not be the best. In the martial arts game, for example, people like to compare one opponent to another and then assume that the one that seems to have absolute confidence will beat the other. Well, what about all the times someone had absolute confidence and lost? If everyone always hit the jackpot every time they felt they would, well, frankly speaking, a lot of people could be as rich as Bill Gates. In fighting you might be capable of beating every person in a given competition and clearly be better than every one of them, yet at a moment in time an energy can come up and for some reason your key doesn’t fit in the lock. Whatever it is, something happens, all of a sudden the stars shine on your opponent. Something can activate inside him or her bringing things together—that person wins and you lose. Maybe it’s true that the next five million times you would beat him every single time, but not this time. And so the I Ching churns. In the West, if things work out and everything goes well, we follow it up with “I’m the best,”—blah, blah, blah. Well, okay, but is it really true? It could be that changes having nothing to do with you led to the victory. Then again, if you take an Eastern approach of karma, you could potentially live thousands of lifetimes. Thus it might just be that in this life you have the spotlight that illuminates everything around you with easy success, but equally you can go through thousands of lives where this is just not the case. So, all you can say is that events happen in life, regardless of whether or not you stress out, flip out and obsessively try to make things happen the way you want. However, if you don’t prepare and opportunity comes along, then you probably won’t be able to use it. Then again, that doesn’t mean that if you are prepared in every way that opportunity is going to knock. In terms of the I Ching, the whole point of living life is not about wining or losing, even though a lot of people believe that’s all their lives are about. The Chinese would call this an overemphasis on saving or having face. My teacher Liu once said something that I’ve never forgotten because it shifted my entire view of life. After something happened to me, I expressed to him that it would have been better if I had won. He advised me to make a choice right at that moment between one of two things. He said: “You can have face or you can be happy.” He explained that I was going to make this choice millions of times in my life, so I had better know which I wanted. You might have heard the phrase “Be careful what you wish for because you just might just get it.” When most think “I want this,” it usually is in terms of one single point, but what about the 10,000 things that are connected to it? It’s equally possible that getting what you thought you had wanted might make your life completely miserable. There are these different shades of grey that come in different directions around these subjects. The living I Ching is simply to learn to first become comfortable with change and later to learn how the energies are evolving so you optimize your ability to flow with them. The Chinese have two great phrases: one is called wu suo wei, meaning it’s neither here nor there; the other is yo suo wei, meaning it’s important. Not too many things in life are important. So maybe you don’t get what you wanted, but then again so what? The sky didn’t fall, the earthquake didn’t shake down your house, Martians didn’t land and eat everybody. Now we begin to see the many ways people get fixated. Ultimately there is no freedom, no genuine happiness while there is fixation. As you rid yourself of fixations and begin seeing the nature of how fixations work, you can surf the tides of change to the best of your ability. Sometimes a situation can be surfed well, equally, at other times there may be no way to do so. We simply have to accept that the best we can hope to do is try to surf with the least amount of grief. This is the living I Ching. At the end of the day, who has anything besides their life? Are your possessions your life? Is your bank account your life? Is your life the praise everybody does or does not give you? There is something inside you that is free, that is not dependent on your external circumstances, which are nothing more than changes. Everything in the external world is about changes. A rock in a sandstorm turns to dust; the dust moves around and turns into dirt; a tree springs from the dirt; the wood from the tree goes away and turns into water. Everything is constantly one thing morphing into another. You might only see what it is at one point in time rather than all its changes in the grand scheme of things. If you look at the nature of change, which causes a lot of people’s fears—whatever they may be—you reach a point where you can flow through all the changes of life. You begin to recognize the space that’s free in the middle. Most fears simply vanish. This is a very fundamental point in terms of the I Ching, for truly living and experiencing your life. It all boils down to this: How much do you want to learn and how skilled do you want to become? I had a meeting in the office that didn’t go too well and reading your article is a timely reminder of how transient this world is; and that we should walk the middle way. Not grasping too tightly but yet not letting loose completely. By the way, reading your book on internal martial arts started me on the path of learning ba gua about 2 years ago and I am still at it. I find that it works the left and right side of the brain :). Thank you for sharing your thoughts. It has made a change in my life. Great article. It’s a reminder of how transient the world is; and why we should learn to let go and shouldn’t take certain things to heart. Your articles are inspiring and life changing. I first learned that the I Ching existed while a teenager reading the book “The Glass Bead Game” by Herman Hesse. Later I found a copy and began to study it, but frankly it made my head hurt because the concepts seemed so different from the western outlook of cause and effect. I stuck with it and have enjoyed it as a book of philosophy though out my life. How exciting to find this reservoir of teachings on how to actually live and embody, to personify the I Ching. Thank you so much for your efforts in bringing these methods to the west, your work ripples out into the world in unimaginable ways, and will continue to for many, many years after we are all gone. Great stuff on surfing! Beyond “furthering”, Daoism settles me because it seems like it is the most honest (accepting that the best life is the least grief). The I Ching is closely integrated with Ba Gua Zhang. At the advanced Hsing I skill level, can the same be said of Hsing I & I Ching? Sometimes I use a hexagram reading to guide my daily Hsing I workout. At times, it can add a very different character to the workout (not that I’m @ the advanced level). Do you think, for those still developing (& recognizing Hsing I contains hidden circular/spiraling movements internally) the added I Ching intent dilutes the simple & straight forward character of Hsing I? Thanks for publishing &sharing all of your experiences!!! They’ve been a great help. Hello Bruce, I just want to say thank you. It has been important for me find out this article, I remembered reading these lines how I belong to the universe as a unit I left behind a lot of sorrow accepting the difficult changes I was going through and the bad outcomes I was getting from them, thank you so much. is awareness aware of itself… i think yes but dont know why… is it..
Do you think getting a reading at an online I Ching site works? Are there any sites you know of that you recommend? 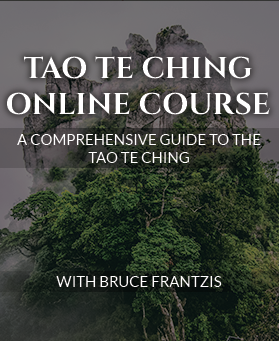 In your Bagua and Tai Chi book you say it is basically 1’s and 0’s like binary code so it seems like those sites should work.